Throughout my craft beer journey I’ve developed a deep respect for and appreciation of beers served from a cask. In turn, being that my main goal for the The Brewed Palate is to share my journey with as many craft beer drinkers as possible, I felt that I should introduce you to Alex Hall…After leaving England and settling in Brooklyn in 1999, Alex has been instrumental in making great cask ales (and occasionally lagers) available in New York City bars and organizing cask festivals throughout the northeastern US and the UK (e.g. Glastonwick Beer, Music, Poetry, and More Beer Festival – near Brighton, England). In this video Alex and I first go over the basics of serving beer from a cask including tapping, cellarmanship, daily maintenance and care, cask engines, filling a cask, and more). We then move on to discuss the current state and growth of cask ales both in the US and the UK. I hope you enjoy watching it as much as I enjoyed filming and editing it. Cheers! 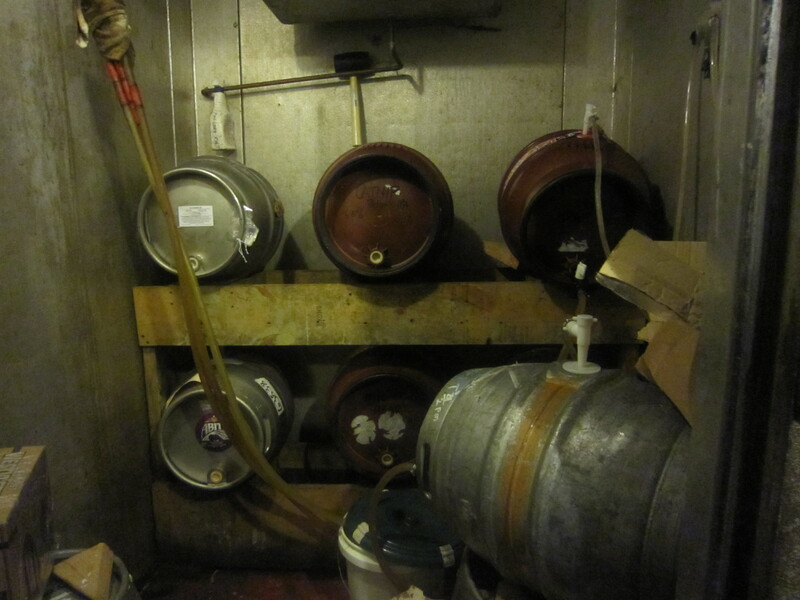 This entry was posted in Craft Beer Advocacy and tagged Alex Hall, CAMRA, cask ale, cask engine, Cask marque, d.b.a. Brooklyn, Glastonwick Beer Music Poetry and More Beer Festival, Gotham Imbiber, gravity cask, real ale, tapping a cask, Williamsburg Cask Ale Festival. Bookmark the permalink.